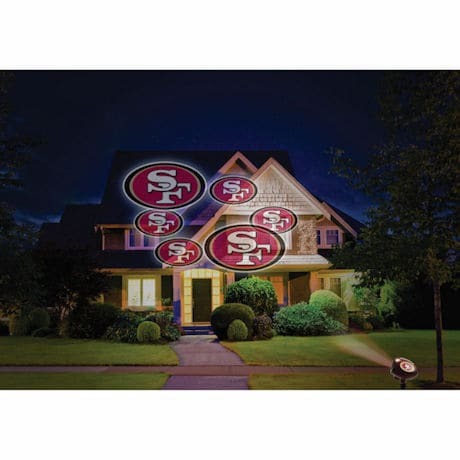 Everyone will know that you're a super-fan when you project your favorite team's logo on your home. This officially licensed LED Team Pride Light projects your favorite NFL team's logo over 25 feet making the logos look huge! Simply install the indoor/outdoor Team Pride Light on the included garden stake or tripod and plug it in. 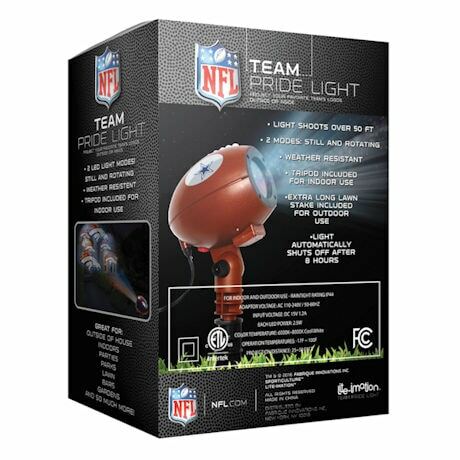 Light sensors automatically turn the Team Pride Light on and off. Choose between one of two LED settings.